If you would like to join us for Shabbos meals in Sandton, click here . 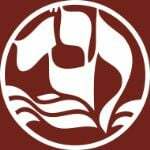 Look out for the Beth Din symbol when seeking kosher food. Keeping kosher in South Africa really is quite easy. Most supermarkets stock plenty of kosher foods. There are a number of kosher restaurants and eateries in and around Johannesburg. We will try to update our list with time. You can order food from any Kosher establishment and have it delivered by Mr. Delivery 011 784 6000.